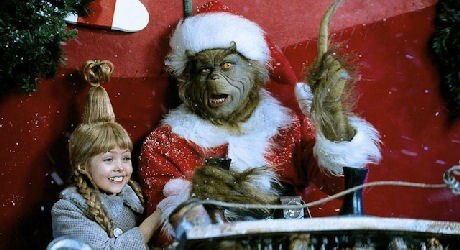 Holiday horrors come in all cinematic shapes and sizes. Here are ten terrible titles destined to put the "Oh No No," not the "Ho Ho Ho" into your yuletide season. Do you wanna know how bad it can get, cinematically speaking? Well, look no further than the ten choices we've highlighted here. Now, granted, there are other candidates in this cavalcade of crap. Some of them, like the K. Gordon Murray matinee nightmare Santa Claus or the equally repellant Santa Claus Conquers the Martians have been turned into holiday "classics" thanks to outlets like Mystery Science Theater 3000. Similarly, there are dozens of dopey big budget bungles like Christmas with the Kranks, Surviving Christmas, and Jingle all the Way. Picking just one -- and we did so here -- allowed us to include both more - and less - conventional fare. Of course, if we've picked on your favorite, we're sorry. On the other hand, if you're jonesing for your annual viewing of, say, the number four selection on our list, you're destined for coal in the holiday stocking anyway. 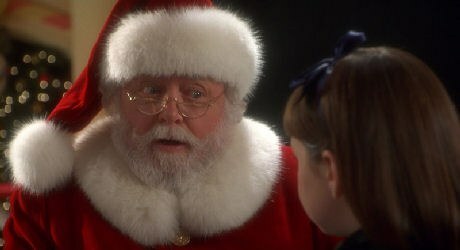 After successfully turning Superman into both a noble icon and the straight man for Richard Lester's slapstick, the father-and-son production team of Alexander and Ilya Salkind decided to focus their film attentions on the most famous fictional superhero of all time: Kris Kringle. Then they brought the then hot property Dudley Moore along for even more comic relief. The result is a hodgepodge of mythology and futility. Most of the time, the movie is covering origin story territory done far better, and with more reverence, by Rankin/Bass. In other instances, Moore shows up as a disgruntled elf who conspires with a blowhard businessman (John Lithgow) to unseat Santa. Excruciating. 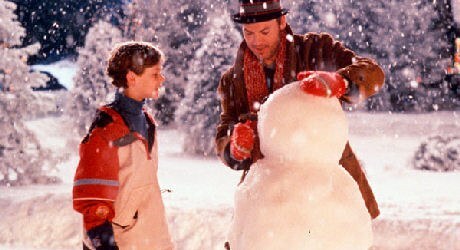 No, not the equally silly B-movie featuring a serial killer transformed into a fake Frosty. This is the Michael Keaton vehicle, where our soon-to-be-Oscar winner (Birdman) plays an aging rocker who is distant from his family, especially his son, who is desperately in need of attention. One night, he gets into a car accident and dies. Thanks to a magic harmonica (or something like that), he is resurrected as -- you guessed it -- a snowman. With effects that barely rate as special and a central character with little defining features (Keaton's voice comes out of what looks like a cotton ball with small black dirt spots for eyes), this is a soul crushing holiday horror. In 1947, Hollywood made one of the best Christmas movies ever. Edmund Gwenn won an Oscar for his performance as the "is he or isn't he" role of Santa, and the film itself won awards for its story and screenplay. So what does post-modern Tinseltown decide to do? They let John Hughes of '80s teen comedy fame rewrite the classic, turning it into a steaming pile of cloying holiday goo. Even the late, great Richard Attenborough can't hold a hall decking candle to Gwenn, and the rest of the cast is equally incapable. When a 1973 TV movie remake featuring Sebastian Cabot and David Hartman (Google him, readers) out-Noels you, it's time for a stocking full of coal. The premise? Two neighbors battle over the newest member of the cul-de-sac's desire to light up his house with Christmas lights. The reason? So it can be seen from space -- yes, really. Danny Devito is the recent transplant with interstellar illumination on his mind. Matthew Broderick is the button-down traditionalist who wants Advent calendars and matching sweaters as the only means of making the season bright. The resulting battle between property line sharers is shrill, dumb, and decidedly unfunny, which is bad news for a proposed comedy. 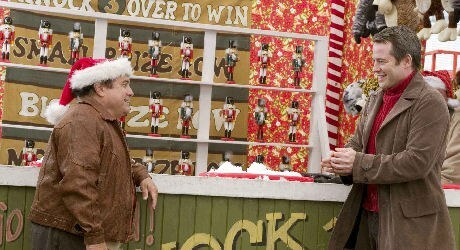 Oh, and did we mention the scene where a naked Devito and Broderick share a sleeping bag together? Groan. How can anyone have thought this was a good idea? The original cartoon, created by Warner Bros. icon Chuck Jones and featuring the voice of Boris Karloff, is pretty much perfect. Of course, what we really needed was an extra hour of backstory (apparently, the Grinch suffers from a broken heart and body issues) and pointless action scenes. Add in another 20 minutes of scary Whoville residents (with make-up jobs that make the actors look like deformed dogs) making lame puns and miserable malapropisms and you've got the seasonal slight that more or less killed Jim Carrey's career as a feature film funnyman.